Here in England, we occasionally get warm days that leave you wanting to sit in the garden, talking, and drinking something refreshing. Strawberry basil lemonade is exactly the drink you’re looking for on those days. I first discovered strawberry basil lemonade at the Hard Rock Cafe in Edinburgh. I’m not a fan of fizzy lemonade so I’d not had it in years, but there was something about the idea of strawberry and basil lemonade that piqued my interest. Since coming back from Edinburgh at the start of the year, I’ve been saying I wanted to make it and with a little bit of warm weather, I found myself craving it. My recipe is bitter because that’s the way I like it, but if you want it sweeter, just add more sugar. I’m going to walk you through it step by step with photos, but if you scroll further down you’ll find a recipe card. 1. 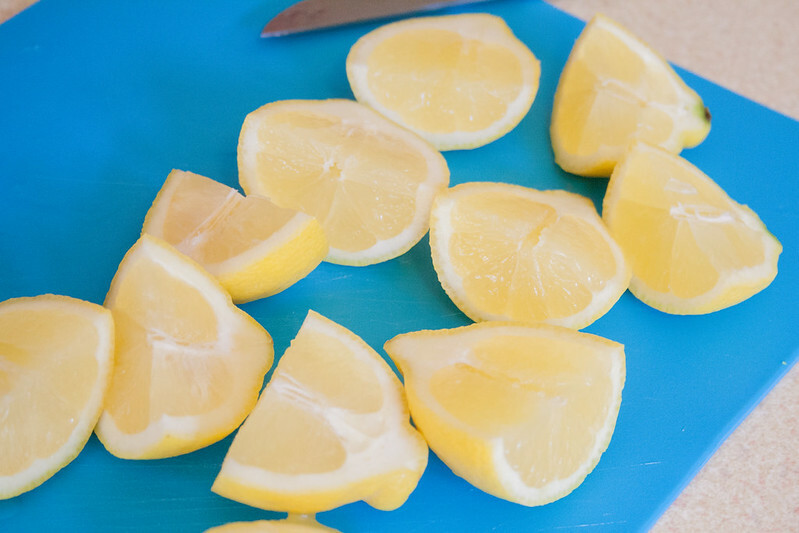 Cut your lemons into quarters. You can remove the pips if you want, but it doesn’t really matter as you’ll be sieving it anyway. 2. Put the lemons and sugar into the blender, and add 1 / 4 litre of water. 3. 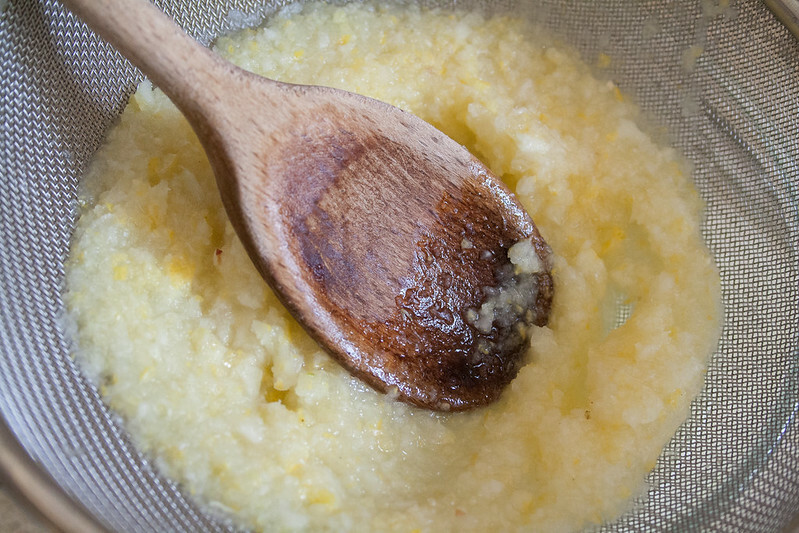 Blend until the lemons have been reduced to mush, add another 1 / 4 litre of water, and blend for another few seconds. 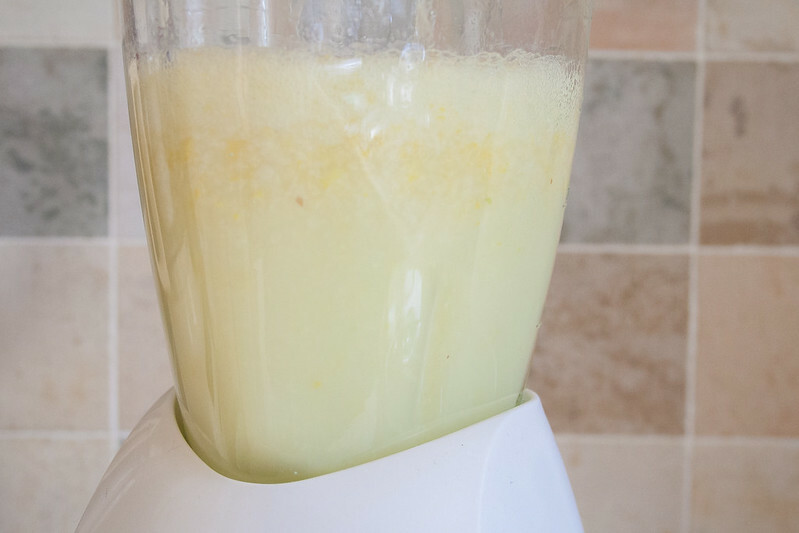 You may need to place your hand, or a towel, over the lid of your blender if the water is likely to escape. 4. Taste it at this point. Though you will be diluting it in a bit, you should be able to figure out whether it’s way to bitter for your liking. If it is, add more sugar. 5. Pour the mixture through a sieve and press the mulch with a spoon to get as much lemonade out as possible. 6. Add the remaining 1 / 2 litre of water to the lemonade, and mix. 7. Cut up 1 and a half cups of strawberries, and put them in the blender, along with half a cup of basil leaves, and blend. You don’t need to press the basil leaves down in the cup, just throw them in. 8. 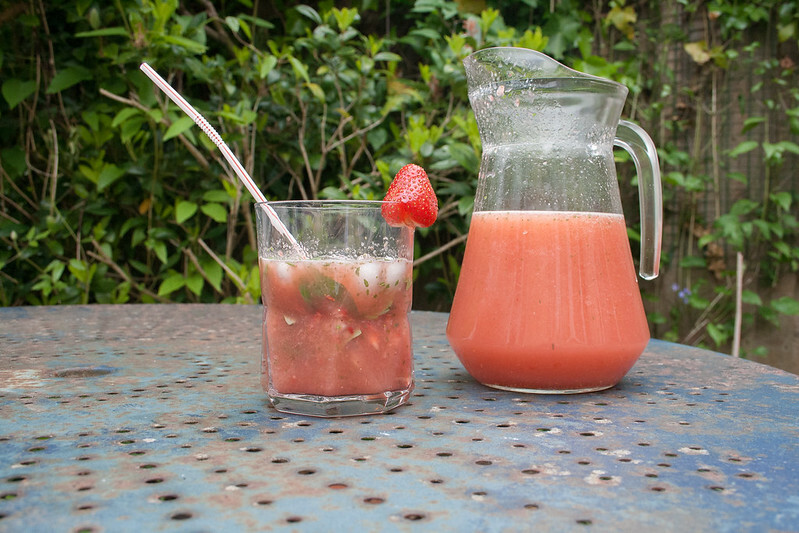 Pour the strawberry and basil mixture to your lemonade and stir. 9. Serve with ice, a strawberry on the side of the glass, and a few basil leaves. Enjoy in the garden on a warm afternoon with good company, or a good book. A delicious, refreshing strawberry basil lemonade, which is perfect for lazy summer afternoons in the garden. 1. Quarter three lemons. You can remove the pips if you want, but as you'll be sieving them it doesn't really matter. 2. 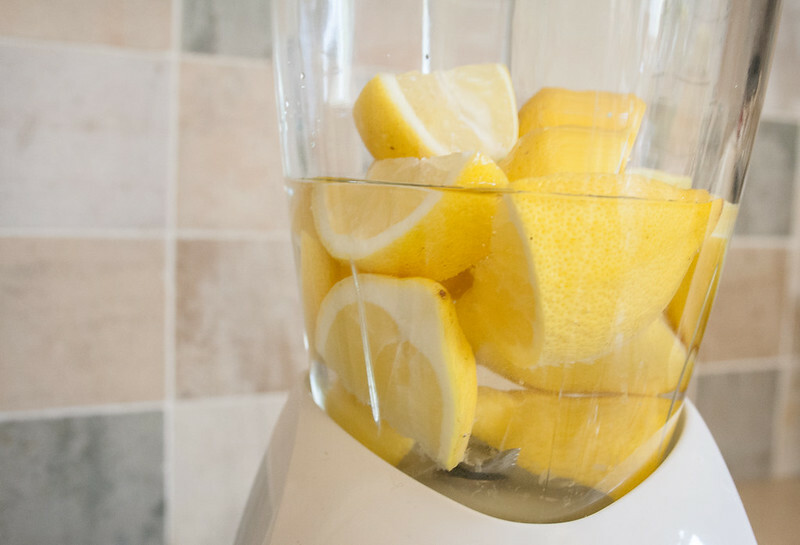 Put chopped lemons and 1/3 sugar in the blender, and pour in 1/4 litre of water. 3. Blend for a few seconds. Once the lemons have been reduced to mush, add another 1/4 litre of water. 4. It's worth tasting it at this point. Though you're going to dilute it with the remaining 1/2 litre of water, you can get a good idea of whether it's too bitter or not. If it is, add more sugar. 5. Pour the mixture through a sieve and press the remaining mulch down with a spoon to get as much lemonade as possible. 6. 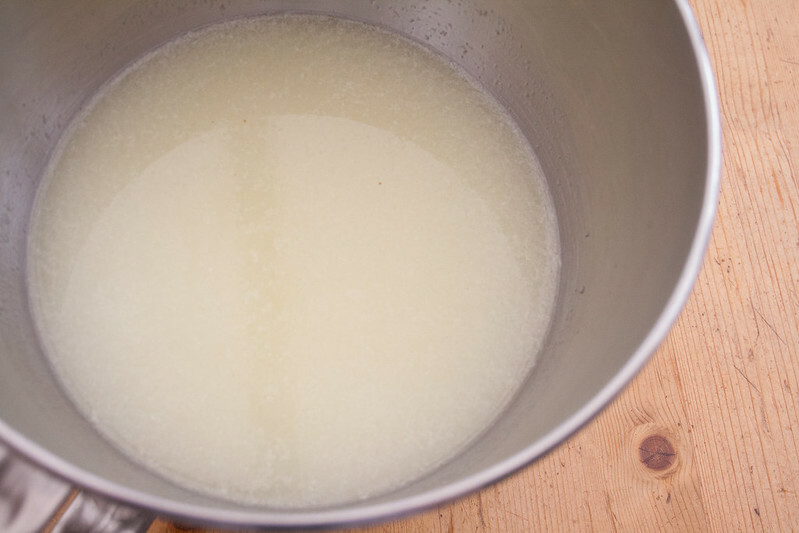 Add the remaining 1/2 litre of water to the lemonade and mix. 7. 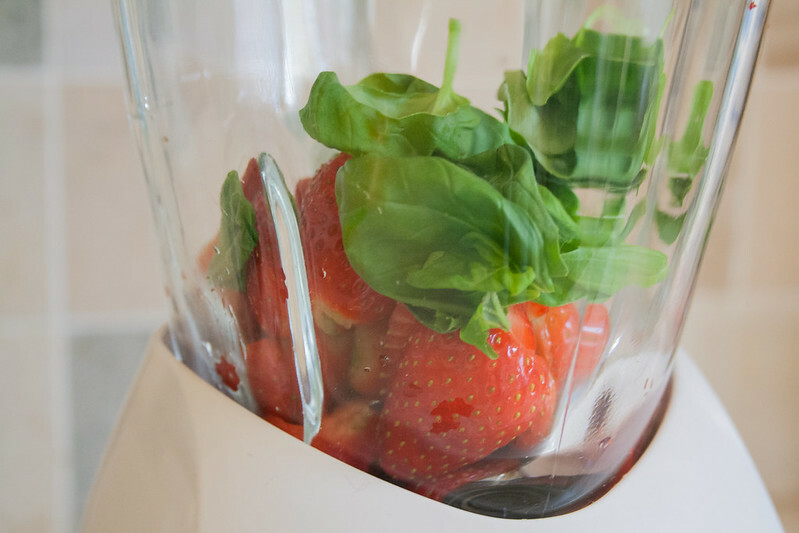 Cut up 1 and a half cups of strawberries and put them in the blender, along with half a cup of basil leaves, and blend. 8. 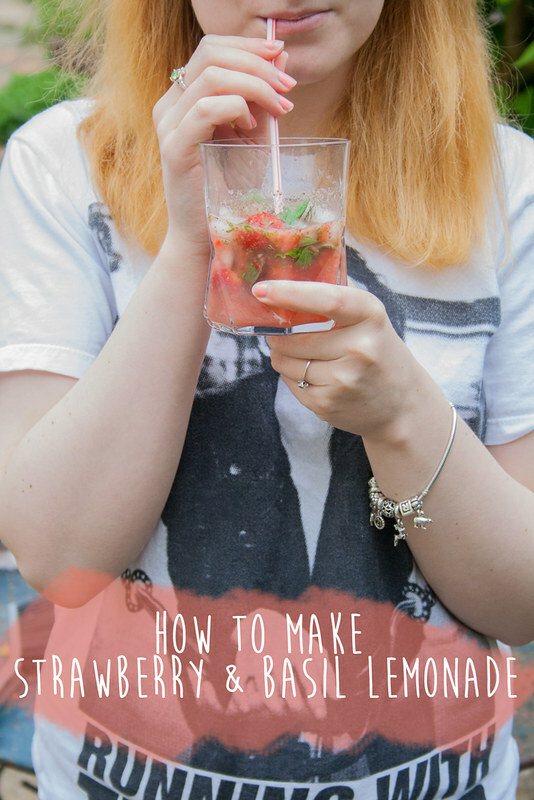 Add the strawberry and basil mixture to your lemonade and stir. 9. 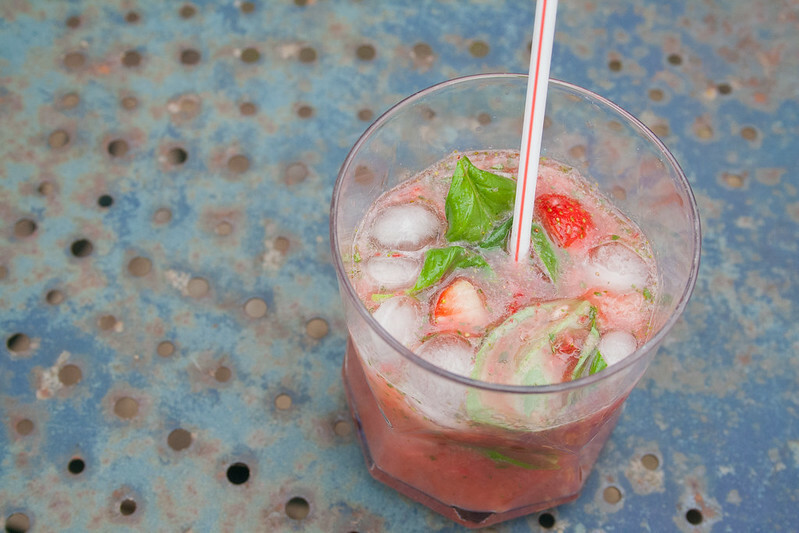 Serve with ice, a strawberry on the edge of the glass, and a few basil leaves. Enjoy in the garden, with a BBQ, and a good book. Have you ever tried strawberry basil lemonade?